Nice macro... The composition of the leaf on the left and the torsion in the centre is great. Good sharpness and DOF. I like the background-colours, which change from brown to green... Well done! A beautifully composed macro Philippe. The shape and balance of the petal and torsion in relation to the frame is great. Great Photo Philippe. Simply beautifull in it�s purity. Great DoF and great colours. Superbe cette vrille. Excellentes couleurs, composition, DOF et cadrage. J'aime bien le cadre de couleur. very interesting view! and really sharp. it�s just simple and very effective. you also did a good use of DOF and background color to make your main subject stand out. well done. Very nice details, marvelous focus. The background colors are also very nice. You chose a very shalow deph-of-field, I think it would have been just a bit better if you used an aperture of 4.5 or 5.6, for the leaf on the left to be more in focus. Nevertheless is a great image. 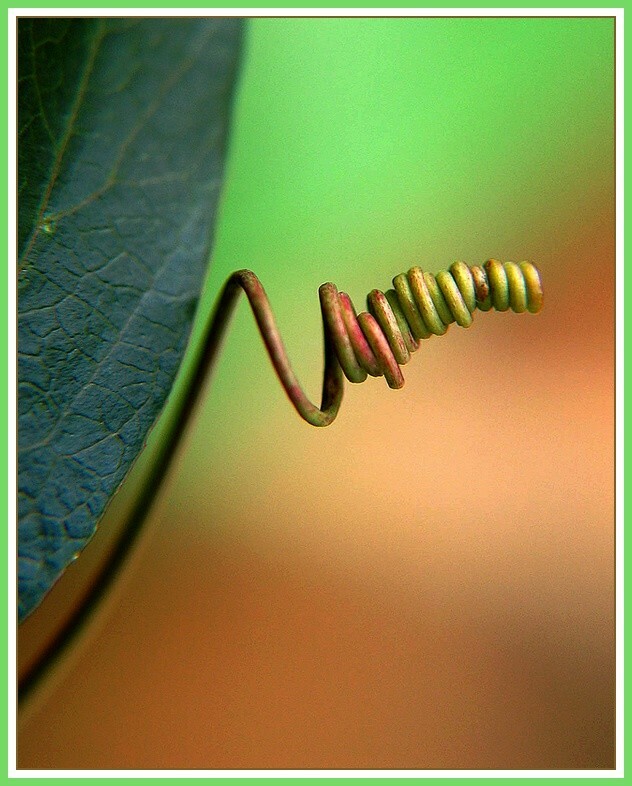 Superbe macro. J'aime beaucoup la composition et les couleurs. Une tr�s belle photo. Superb macro. Composition, focus, DOF, lighting and color are beautiful. Wow!...I don't usually get excited about macros...but this one is definitely one to look twice at. The soft blur in the background is very beautiful against the curves...and the colors are so warm! I love this!